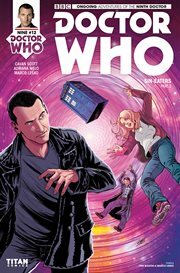 The item Doctor who: the tenth doctor: sharper than a serpent's tooth part 2, Issue 3.4, Nick Abadzis, (electronic resource) represents a specific, individual, material embodiment of a distinct intellectual or artistic creation found in Richland Library. Ancient China and the Red Jade General have more tricky surprises for the Doctor, Gabby and Noobis as they go up against hundreds of Cindy clones! But will they be able to find their friend - the original? !